"Spring flowers bring the Sokol Spring Craft Show!" Booth fees are $65 for 10 X 10 space. Electricity is available but you must provide your own extension cord and duct tape. Application has been uploaded here and are due ASAP. For more information, please contact generalmanager@sokolfw.org. "The Lone Star Crafters Association (LSCA) is holding its second annual event in this location. LSCA gives hand crafters a place to exibit their work and make connections with other crafters in the DFW area. Commercial vendors (Sentsy etc.) will be allowed but the focus is, as always, on the hand crafter. You will find hand crafted items, such as woodwork, etched glassware, handbags, crocheted and knit items for personal attire, babies, and home decor, jewelry, handmade items for your favorite pet, and many more unusual one-of-a-kind items." Electricity is $10 extra (limited availability). No cover provided for outdoor booths. Applications can be found here and are due by August 15th, 2011. For more information, please contact Melinda Richards, Vendor Coordinator, at melindar@netscape.com or 817-597-8454. "Great and creative vendors are coming together for the show! Come and see what we have." Booths are 8x8 for $40.00. Applications can be found here. Applications can be submitted via email to the address below. For more information, contact their Event Coordinator at jeslyn.vasquez@gmail.com or 972.704.4294. "Dallas Chic Fest was formed in 2010 for entrepreneurs who self create their own line(s) of products from art, fashion and accessories to name a few. Chic Fest will introduce the self created product lines of our invited business owners to the hundreds of attendees expected for the 2011festival. If you plan to attend the 1st Annual Dallas Chic Fest in 2011, be prepared for an expreience of a lifetime where chic is always the theme! Envision stylish fashion at a festival filled with shopping, guest speaker(s), musical entertainment, complimentary foods, exclusive photographers to snap your fashion styles, exciting giveaways, gift bags and much more!" Admission is FREE but you MUST register online. You must also be 21 years and older to attend. "Don't miss your chance to shop with local vendors and consultants!" Application has been uploaded here along with their Information Sheet. The application is due April 1st, 2011. For more information, please contact their Event Coordinator, Sally Puckett, at sally_puckett@yahoo.com or 214-202-9422. 10 X 10 space - $25 deposit plus 10% of gross sales on day of event and include one 6ft table and 2 chairs. Applications can be found here and are due by April 10th, 2011. For more information, please visit their site or contact gnave@miescuelita.org or Corrina Luna at 214-526-0220 / cluna@miescuelita.org. It seems like we are all building up our Spring Show Schedules right now, and I love hearing where everyone is going to be. I'm so busy trying to get all this show information sorted through and posted, I sometimes forget that I need to actually send in an application or two! This week's giveaway is sponsored by Sara of SaraDiPity Designs. Sara loves creating beautiful gifts for all occasions, including denim skirt purses, belts, and diaper cakes! To see many of the items she has for sale, visit her website here. Sara's denim skirt purses make a great gift for any accessory loving little girl! Flowers, and monogram patches can be added to front and back pockets. Purses have a zipper opening and measure 8"" at bottom hem, and 11 1/2"" from top to bottom including strap. Little belts are hard to find...especially cute ones! All belts are hand-made with durable cotton webbing and grosgrain ribbon. Ribbons and D rings are machine stitched to the webbing. This belt is a medium which is a 32 inch belt with a 5 inch tail, meaning it fits waists up to about 29 inches with a 3 inch tail. How to enter: Simply leave a comment (here or on Facebook) and tell us about one upcoming event that you plan to attend. Please don't forget to leave an email address, if I cannot contact you then you cannot collect your prize! Contest ends at 10:00PM on Tuesday, April 5th. Winners will be announced the morning of Wednesday, April 6th, 2011. And the winner is... Mary Hancock Matous! Congrats! You have won a one of a kind denim skirt purse and belt combo from SaraDipity Designs, a value of $23. You may choose a monogram initial for the back pocket of the denim skirt, no extra charge. All of Sara's belts are named after the first child they were purchased for, so the you will also have the option of naming this new belt color. Sara has also offered to make a new size for the belt, if needed, just let her know! Didn't win? Never fear! Sara will be happy to setup a custom order just for you, or you can choose from one of her many gorgeous designs on her blog. Booth spaces are the size of one parking space (approx 12 X 20) and cost $25. Application has been uploaded here and is due by April 29th, 2011. Table rental, which includes 2 chairs, is available for $5. Electrical outlet(indoor only) is available for $5. Applications can be found here and are due by May 17th, 2011. For more information, please visit their website or contact their event coordinator, Cynthai, at cyndelacruz@ymail.com or 469-223-4456. You may also email braypta@gmail.com. Spruce Pine (cul-de-sac) & Beach St.
Booths are 6 X 4 and cost $10. Vendors must provide their own table and chairs. Vendors are also required to donate a door prize with a minimum value of $10. Applications can be found here and are due by April 7th, 2011. For more information, please contact Renee at reneemparker1@gmail.com or call 903.520.9661. Booths are 8 X 5 1/2 feet and cost $35. This includes one chair and limited access to electricity. Vendors must donate a raffle prize of $20 or more. Applications can be found here and are due by April 1st, 2011 (extended deadline). For more information, please contact their event coordinator at kelly.wingate.nsschool@gmail.com or contact Tabatha Knickerbocker at tabatha.knickerbocker.nsschool@gmail.com. The Northstar Phone Number is 817-478-5852. I used this Birthday Bash Giveaway marathon as a good time to discuss a lot about what makes our little community great, as well as what makes YOU great. Great people, amazing resources, supplies, and inspiration! 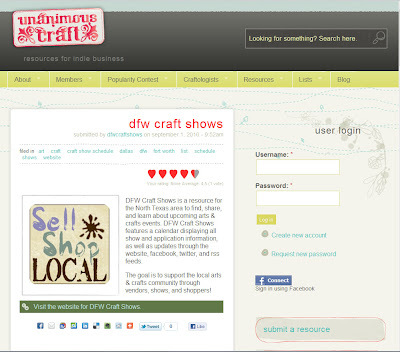 All this combines to amazing artists and crafters creating unbelievable diverse indie marketplaces. Our fifth and final Birthday Bash Giveaway is once again brought to you by one of my very favorite suppliers Electric Quilt. They are donating a product by an amazing artist whose products make their way into many of our own crafty creations. She is a household name these days, and on top of everything she has accomplished, she turns around and becomes a source of inspiration, a supplier, a resource, and an all around lovely lady. If you aren't familiar with Amy Butler, check out her website. You can see some of her extensive line of products, as well as download free patterns and more! How to enter: I would like to express my gratitude to Electric Quilt for seeing something special in our little corner of the internet and offering to sponsor a giveaway (or two). So, let's show them some love by doing this little three step. Post a comment on their wall that says something like "I saw The Amy Butler Software on DFW Craft Shows and I want to win it because ________." Pop back over here and let me know that you have done this, and you will be entered to win. You must do all three steps to be entered! Don't forget to leave an email address in your post here, if I cannot contact you then you cannot collect your prize! Contest ends at 10:00PM on Sunday, March 27th. Winners will be announced Monday, March 28th. And the winner is...Diana! Congrats! You have won the Amy Butler Software, a value of $29.95! This software includes 22 unique & stylish projects for the home: 8 quilts, 3 table runners, 7 pillows, 1 floor cushion and 3 bags. Plus 9 bonus projects. All with clear, step-by-step illustrated sewing instructions for all skill levels. Print patterns, yardage charts, and sew. The images above are just a few previews of the projects! If you didn't win, you can purchase this software here, or swing by their site to see the amazing range of products they have to offer. Booths are 8' X 8' and cost $10 per booth. For more information, visit their site here or contact their event coordinator srjohnson@grapevinetexasusa.com. Craft shows are a great opportunity to get your product in front of a new audience, as well as make new contacts--whether they be shoppers or vendors. It is also a great venue to find inspiration. Now, I don't mean "Oh, that looks neat! I'm going to go home and try to make and sell it myself!" I'm not sure I'd call that inspiration. What I do mean is: being surrounded by creative people of all types with so many amazing and unique talents is inspirational. It makes me want to go home and start working on my own products. It makes me want to be a better crafter all around. It challenges me to constantly improve my work and brainstorm on new ideas. Our fourth Birthday Bash Giveaway is brought to you a woman who truly lives and breaths the indie scene: Martha of Sunday Afternoon Housewife. Martha is the creator of amazing, fabulously funky Scrabble tile pendants, glass tile pendants, silk screened tees, and more! She is also the founder of the Handmade Promenade, an Indianapolis handmade market, and The Uncommon Craft Society of Indianapolis. As if that's not enough, Martha is also an avid writer for the crafting community. You can read many of her exceptionally insightful articles on her blog. How to enter: Inspiration is truly everywhere. Tell us what inspires you! Don't forget to leave an email address in your post here, if I cannot contact you then you cannot collect your prize! And the winner is... gsandoval! Congrats! 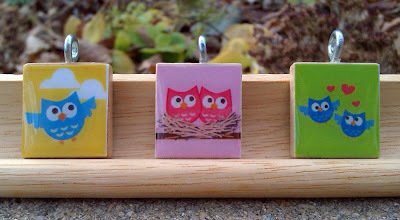 You have won two Scrabble Tile Pendants from Sunday Afternoon Housewife's massive collection, a value of $16.00. (Pendants will not necessarily be the ones pictured above.) All Scrabble tile pendants are approximately 3/4" squares (they do slightly vary) and come with 24" trim-to-fit ball chain necklaces. Are you loving these adorable designs, but are not the chosen one? Well, good news: you deserve a lovely Sunday Afternoon Housewife pendant or two and you can find plenty of them at her online shop and in many stores across the US (including Dallas' very own Make Shop & Studio). Are you checking this out and just itching to get involved in our Giveaways? That's what I like to hear! Email me at dfwcraftshows@gmail.com. "Hand crafted, arts & crafts, plus antiques, collectibles, home decor & gifts. Featuring mosaic tile, oil painting, wood art, handmade jewelry, western art, & much more. Juried show. A portion of the procceds go Ellis County SPCA elliscountyspca.org. Register at the door to win a Segmented Walnut Lidded Vessel with a genuine round Tigers Eye on the lid from Blue Timber Wood Studio from Hurst, TX." Admission for adults is $4 and kids 12 and under are free! Backdrops are not provided for this show but are required. Applications can be found here and will be accepted as long as there is space available. For more information, please visit their website or contact their Event Coordinator at vendorinfo@shoppingseasons.com or 281.304.0160. "Yes, we're a flea market but we're a heckuva lot more. We round up 70-plus Texas creatives and companies under one roof (yep, we're indoors) to unload new and vintage goodies and grub. Since this isn't your average flea, we also have live music and a free vitaminwater zero for everyone that joins the fun. If that wasn't enough, the first 100 shoppers score a nifty canvas swag bag. Five bucks gets you in the door (kiddos 12 and under are free) and parking is on the house." Admission is $5 and children under 12 are free! Parking is also free! "Radio Disney will be there, and tons of vendors and crafters!" 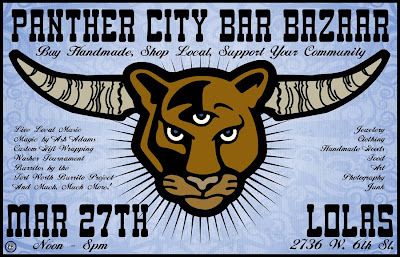 "Panther City Bar Bazaar would like to invite you to our next event held at Lola's Saloon. There will be Live Local Music, Magic by Ash Adams, Art, Jewelery, Clothing, Photography, Knick Knacks, Vintage Goods, Candles, Soaps, Jams & Jellies, Baked Goods, and Burritos by the Fort Worth Burrito Project! Washer Tournament (Cash & Prizes! ), Caricature Artist, Drink Specials ALL DAY, And Much MUCH More!" There are many times during an Arts or Crafts project where you will find that you are doing more research and problem solving than creating. It's an essential part of the process, especially when developing new products. The internet becomes, once again, a valuable resource in finding out what works and what doesn't. Many times that is not quite enough. When I started creating for The Curious Canvas, there was a lot of trial and error. Learning what worked and what didn't work was just as important as finding out what brands delivered quality and what brands fell short. Tons of research online pointed me to a great brand, but I still had millions of questions on their products and what was right for me. Which brings me to my point. Finding a good supplier can be one of the most important contacts you make as a producer of all things creative. Why? Because a good supplier who truly cares about quality and their customers' satisfaction will know what products are best for you and what you need to do to get the best result. They can walk you through the trial and error process and shave HOURS off of the time that you were going to spend experimenting. A good supplier isn't going to go straight for the sale, because they are genuinely interested in pairing you up with the right tools to create. Our third Birthday Bash Giveaway is brought to you by one of my very favorite suppliers Electric Quilt. The fact of the matter is, I have been singing their praise for quite some time, and I am just truly blessed that they wanted to support DFW Craft Shows and celebrate our birthday with us! Their products are of the highest possible quality and their employees are knowledgeable, whether its because they use the products themselves or they honestly listen and note calls from the people that do. They can tell you what works and what doesn't work. They can help you navigate through any known issues, send samples, and help get you setup and running on your next project. They even take the time to feature customer creations on their blog, which I love! Post a comment on their wall that says something like "I want to win the Quilt Design Wizard on DFW Craft Shows!" Pop back over here and let me know that you have done this, and you will be entered to win. You must do all three to be entered! And the winner is... Dee Stevens! Congrats! You have won this Quilt Design Wizard™ software, a value of $29.95! QDW is a software for beginning quilters/computer users. It is an inexpensive way for you to try quilt designing on your computer! I cannot recommend Electric Quilt highly enough. If you didn't win, you can purchase this software here, or swing by their site to see the amazing range of products they have to offer. In our last blog post, I discussed the compassion of the Arts & Crafts community and how lucky we are to work in that environment. Another thing that I love about being in the Arts & Crafts world is the fact that you are never finished learning. I am constantly picking up new crafts and skill sets, as well as improving on my current skill set and crafts. Obviously, the internet opened up huge doors for our community to share and exchange information. Our second Birthday Bash Giveaway is brought to you by Rosalie of Unanimous Craft. Rosalie has created a website to help us find those very specific types of craft websites, from design to articles, and every stop in between. She's making the search for crafty information that much easier, but that's not all. Unanimous Craft allows you to review resources and share your thoughts on what's hot and what's not. How to enter: Simply give the website a try! Login or create an account if you are new (don't worry--all your contact information is safe and they will NOT spam you), and rate or submit a resource. (*cough* Rate DFW Craft Shows *cough*) Then leave a comment (here or on the Facebook post) and tell us what you did. Please don't forget to leave an email address, if I cannot contact you then you cannot collect your prize! Automatic entry in monthly drawing for a free one month ad on the interior site pages. Does this mean our non-winners cannot enjoy everything great that is Unanimous Craft? Of course not! The website is a great resource or resources, so I encourage you to check it out if you have not. You can also pursue your own Premium Membership here. It only seems appropriate to start off our Birthday Bash with a cupcake. 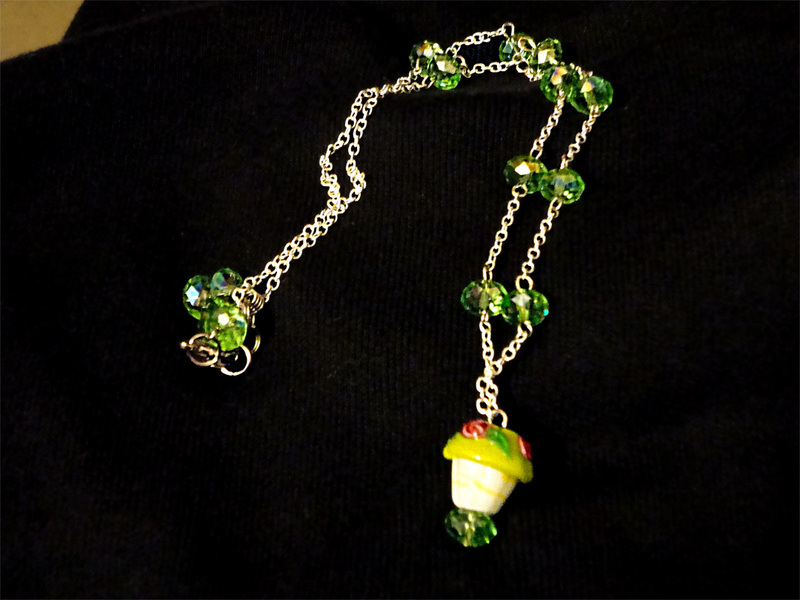 Jenn of One Star Designs was sweet enough (no pun intended) to make this necklace for our Birthday Bash Giveaways! Which leads me to one of the reasons I LOVE the Arts & Crafts community: caring. I think it is easy to forget how great we have it, working with vendors, shoppers, and event coordinators who genuinely care about our well being and success. Sure, there are times when you will meet someone who isn't all rainbows and sunshine... but that tends to be the exception rather than the rule. I feel confident in saying that our North Texas Arts & Crafts Community is one with a heart ten times the size of Texas. We support each other and we help each other out. And that truly makes all the difference. Our first Birthday Bash Giveaway is brought to you by Jenn of One Star Designs. Jenn has been making jewelry for over 25 years and offers a variety of earrings, necklaces, and bracelets--as well as custom orders! One Star Designs particpates in craft shows all over the metroplex, and you can check out their Facebook Page to see where they will be next! How to enter: Simply leave a comment (here or on Facebook) and tell us about one act of kindness that you have experienced from a vendor, shopper, or event coordinator. I bet you don't have to think too hard to come up with one. It can be as simple as someone offering to help you set-up your booth or load up your car. Someone who stops by to offer up a break because they can see that you need one. A vendor who includes a special gift with your purchase or works with you to help create that perfect gift. An event coordinator who sincerely cares about your experience at their event. The list goes on and on! (And yeah, I feel fortunate enough to be able to claim experience to all of the above!) Please don't forget to leave an email address, if I cannot contact you then you cannot collect your prize! And the winner is... Christine! Congrats! You have won this gorgeous Cupcake Necklace made by One Star Designs specifically for the occasion, a $35 value. 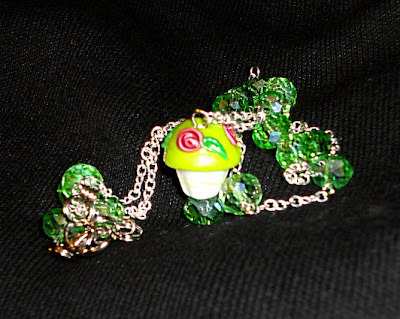 The necklace contains one handmade lampwork cupcake bead and swarovsky crystals, the perfect amount of bling for anyone with a sweet tooth! Not the lucky winner? No worries! One Star Designs has tons of amazing designs in their Etsy shop just waiting for a new home. I'll even bet, if you asked nicely, they would whip up some more of these adorable cupcakes! Guess what? It's our birthday! Well, it's not quite our birthday (March 23rd), but it's our birthweek and that can only mean one thing: PARTY TIME! So grab a drink, have a seat, and relax, because it's time to... watch me open presents! This week on DFW Craft Shows, we will be hosting giveaways ALL WEEK LONG! Aw ya, that's right... it's about to get all crazy up in here. I will be listing at LEAST one giveaway every day until Friday, March 25th. All the giveaways will end at 10PM on Sunday, March 27th and will be listed the next day. So what do you have to do? Check the website and Facebook page for our latest giveaways, of course! Each giveaway will have one task requested with it in order to be entered, but you already knew that because you've been playing along at home, haven't you? That's it for now... I've got some giveaways to list! So I will leave you with this thought: Happy Birthday! I'm really happy to be celebrating this milestone with 994 of my closest friends. Oh, feel free to invite your friends to the party... the more the merrier! Who KNOWS what might happen if we hit 1000 before our birthday. Psssst, are you still reading? Great, because I made something special just for you. Click the "Birthday Bash" image above and you will be taken to a page with ALL our Birthday Bash giveaways listed (as of now). Check it often for your chance to win some pretty awesome prizes. Keep in mind that I just typed the longest blog entry in the world, so you'll have to give me a second to actually type up the giveaway! Patience, my dear. "Original handmade arts and crafts only. No commercial or manufactured resale items. No price limit. Sponsor will bar any items considered in bad taste." Booths are 10 X 10 and cost $85 for one or both days. Applications can be found here and are due by May 17th, 2011. Accepted vendors will be notified of their booth space by May 27th, 2011. For more information, please call: 972-937-0681 or e-mail: ecmuseum@sbcglobal.net. Booths are 10 x 5 and cost $40 for the first space and $20 for additional spaces. Fee includes chairs. Applications can be found here and are due by April 27th, 2011. For more information, please contact Amy, event coordinator, at cmcleod3@hotmail.com or 214-755-6311. "The Peddler Show makes its way to Irving! Whether your style is trendy or traditional, classic or contemporary, you're sure to find that perfect gift at The Peddler Show! Whether you're looking for personalized designs, creative gifts or unique jewelry, the Peddler Show has it all! It’s the perfect street of shops-customized just for you! Don't miss the shopping experience designed to be as individual and unique as you are! (And don't forget, parking is FREE!)" One admission is good ALL WEEKEND LONG! Here is a COUPON for BOGO Adult admission! "This 100% handmade show is an indoor family-friendly event featuring handpicked artists and crafters, live music, food, free arts and crafts to make for children, raffles benefiting charity, and 50 free goody bags filled with handmade treasures to the first 50 customers!" For more information, contact their event coordinator at cindy.clarke@tx.rr.com. Just a couple of years ago, I was only aware of a handful of shows across North Texas; Now we have a calendar full and we are adding more and more each day! We are lucky to have so many events all over the metroplex that support indie artists & crafters of all sizes and styles. 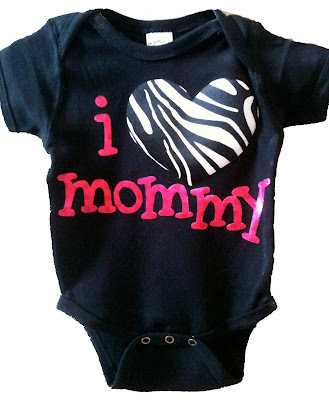 This week's giveaway is sponsored by Kenzi of A Vintage Love. Kenzi's passion for being creative and crafting gave way to A Vintage Love, a marketplace for her to share her love for crafting with the world. Check out many of her designs on her blog! How to enter: Simply leave a comment (here or on Facebook) and tell us what is the most important factor in selecting a show that you want to set-up or shop at. I'll be interested to hear what assets are priority to you, but it may also help some new folks figure out how they should weigh and judge potential events. Please don't forget to leave an email address, if I cannot contact you then you cannot collect your prize! Contest ends at 10:00PM on Tuesday, March 22nd. Winners will be announced the morning of Wednesday, March 23rd, 2011. And the winner is... Katrina of ecoFashionistas Jewelery and More! Congrats! 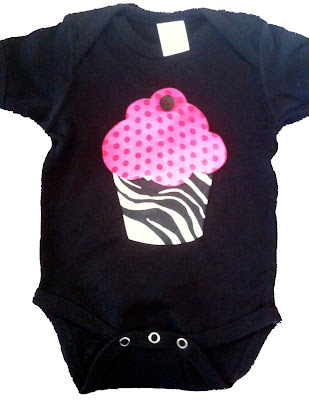 You have won a one of a kind, custom, handmade onesie by A Vintage Love, a value of $20! Didn't win? Never fear! 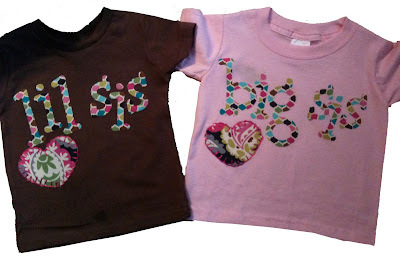 Kenzi will be happy to setup a custom order just for you, or you can choose from one of her many designs on her blog. Spaces include 1 table and 2 chairs. Applications can be found here and are due by March 31st, 2011. For more information, visit their website or contact their event coordinator at KECPTA_VendorFair@yahoo.com or 817-726-6754. Booths are 10ft x 8ft and cost $35. Applications can be found here and are due by April 1st, 2011. For more information, please visit their website or contact julie@quickroofing.com. "Every second Saturday of March, April and May, The Gypsy Wagon will be stoked to present a stand-out market of handmade designers and craftspeople at our Henderson Avenue store. Feather Junkie | peace. love. feathers. Modern Relics | ReUse ReVamp Restyle"
"Guests will enjoy samples of a variety of chocolate items, while enjoying live music and art displays and sales from local artisans." Tickets are $15 for adults and $5 for children (age 7 and under). Booths are $60. Vendor provides all display (including tables, extra lighting and extention cords). Due to the shape of the bar the spaces are aproximatly 6ft. some larger, some smaller. To apply, simply email Tyler Stevens ASAP at PANTHERCITYBARBAZAAR@GMAIL.COM with your vendor information. For more information, please visit their event page here. "This is the 6th year that the Eaglette Booster Club of Richardson High School has sponsored this event and we will be doing lots of things to make it great for both our exhibitors and our shoppers." Vendors must register for a Unique Vendor Number in order to apply for this event. Detailed Booth Information, Vendor Registration and Applications can be found on this page. Applications are due two weeks before the event. Electricity is available for an additional $25. Applications are available here and are due by March 11th, 2011. For more information, please visit their website or call 972-878-4748. This week's giveaway is sponsored by Cherri Hughes of Scentsy4fun. Scentsy began in 2003 with the powerfully simple idea of aromatic candles – decorative warmers with wax melted by the heat of a light bulb instead of a traditional wick and flame. This beautiful, timeless warmer has a shimmering metallic reactive-glaze finish and exquisitely embossed details punctuated by creamy faux pearls create a feeling of romance. The "My Wish" Scentsy bar is a confection of earthy fig, sweet violet, and playful marshmallow that will have you wishing for more. How to enter: Don't get lost in the crowd, simply leave a comment (here or on Facebook) and give yourself and your crafty business a shout out! Please don't forget to leave an email address, if I cannot contact you then you cannot collect your prize! Contest ends at 10:00PM on Tuesday, March 8th. Winners will be announced the morning of Wednesday, March 9th, 2011. And the winner is... Tara of Camille's Creations! Congrats! You have won a Scentsy prize package including 1 gorgeous "Margot" warmer and 1 "My Wish" Scentsy bar, a value of a $35! Didn't win? Never fear! Cherri has all sorts of scent satisfying products available for purchase on her website.